Of course, The Hobbit precedes Fellowship by many years, but that story was tainted so ably by the absurd trilogy it was inadvisedly extended into that it will probably be some years before anyone feels like revisiting it. 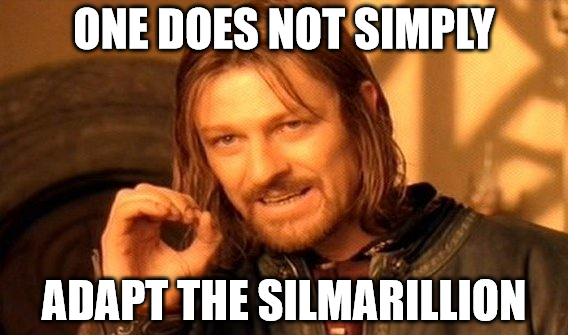 It’s possible the new series will mine the ponderous but rich Silmarillion for material, as fan fiction writers and lore aficionados have done for decades. The exploits of the Elf-Lords of old would make for a stirring epic, while many would thrill at the possibility of seeing Moria at the height of its grandeur. So much depends on the quality of the adaptation, though. Amazon has been pretty good about its Originals, but this will be an undertaking far beyond the scope of anything its studios and partners have yet attempted. Amazon is partnering with New Line Cinema, which of course was the film company behind the much-loved trilogy that began in 2001, and the Tolkien Estate, as well as HarperCollins for some reason. The deal also “includes a potential additional spin-off series,” presumably if it’s popular enough. Of course it will all be available exclusively to Prime members. As a fan, I’m cautiously optimistic. Elendiiil!